Coconut water has exploded onto the beverage market in the past few years, gaining popularity among athletes, health foodies and people hoping to get over a wicked hangover. Whether you’re trying to rehydrate or just want to sip something sweet, you might see some crazy claims on coconut water packaging. One company is now paying for its bold claims. 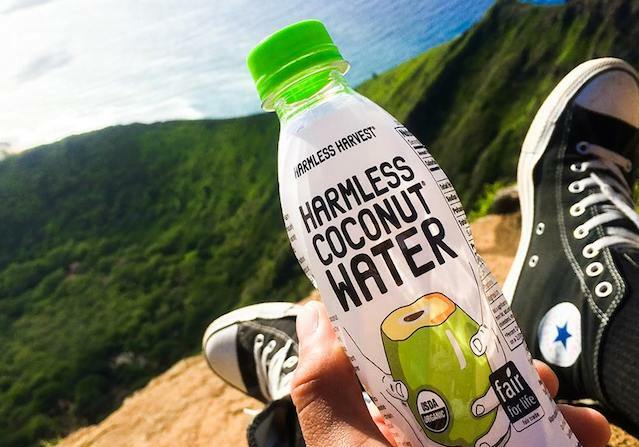 Harmless Harvest will pay $1 million to settle a lawsuit about the wording on its coconut water labels. The bottles, which Harmless Harvest labeled as organic and raw, allegedly contained nonorganic ingredients “reportedly purchased from street vendors and unknown supply sources,” according to our friends at Top Class Actions. The suit specifies four of the brand’s varieties: Harmless Harvest 100% Raw Coconut Water, along with its Dark Cacao, Cinnamon & Clove and Fair Trade Coffee flavors. If you purchased Harmless Harvest coconut water in the United States between Sept. 30, 2011 and December 2016, you may be eligible for a portion of this $1 million settlement. Details for filing a claim have not been released. Harmless Harvest released a statement to Top Class Actions denying wrongdoing, but saying it agreed to the settlement to avoid a longer legal battle. It once used a high-pressure processing method rather than pasteurization to prevent bacteria from growing in its bottles, according to Ray Latin at BevNet. But the Food and Drug Administration and the U.S. Department of Agriculture expressed concerns about whether this manufacturing method is effective enough to make it safe for human consumption. Harmless Harvest temporarily suspended production in late 2015, but introduced a new filtration process in April 2016 to satisfy FDA concerns. Opinions also vary as to how beneficial coconut water really is compared to typical hydration methods of water plus a healthy diet with fruits and vegetables. Your Turn: Do you drink coconut water? Will you file a claim in this settlement? Lisa Rowan is a writer and producer at the Penny Hoarder who usually drinks coconut water after a night on the town. 3 Hours Ago Vizio, Samsung and More: Do These 8 Companies Owe You Money?